Senior photos are your chance to shine; to show your personality; to let the world see who you really are and who really want to be. Our senior sessions are shot in a location of your choice, with several wardrobe changes and any special props you'd like. Bring your best friend, your guitar, that really cool antique car of your uncle's that you love, or even your dog. The only rule is that you let us see the real you. 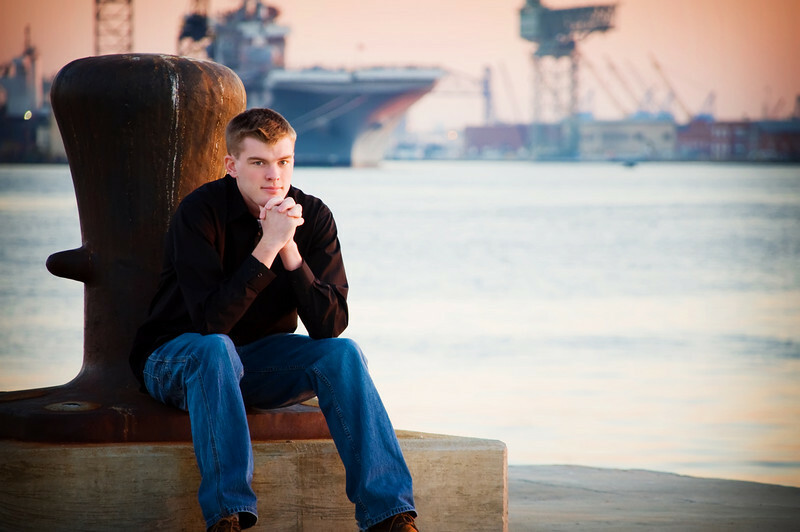 My favorite location for senior shots is in Downtown Norfolk, for a hip, urban look, but I'll travel anywhere in the Hampton Roads area to get your special photos.